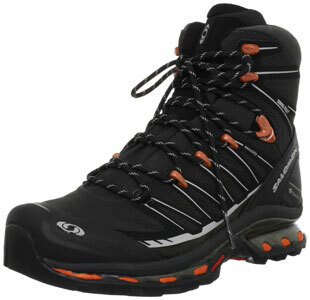 How Supportive And Hiker-Friendly Are The Salomon Cosmic 4D 2 GORE TEX Waterproof Trail Walking Boots? 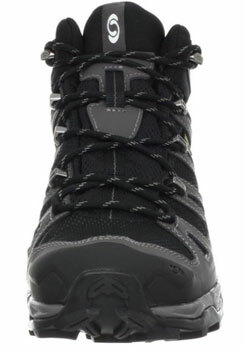 The basic specification for the lace up, synthetic Salomon Cosmic 4D Trail Walking Boots talks about features that are pretty much expected from hiking boots, such as waterproofing, breathability and comfort. However, they do have a solid support system and ankle boot shape that is more appealing and this is enhanced by the interesting grey and green designs. Is this the “great multi-day backpacking boot” it is made out to be? 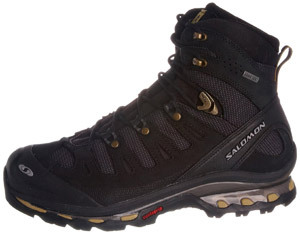 Can The Salomon X Ultra Mid Trail Walking Boots Meet Basic Requirements With Their Specification? This product is currently unavailable. You can find similar models here. The lace-up Salomon X Ultra Mid Trail Walking Boots with their 2-inch heel have some interesting features like the Quick Laces for added convenience in putting them on, a SensiFit system of comfort and Contra grip materials. They almost sound like high-tech boots, which is not what is on top of peoples priority lists. Instead, buyers want this boot to offer basic reliability on the terrain, waterproofing and comfort over long periods of time. Can this product provide this or have buyers been disappointed? This product is currently unavailable. You can find similar items here. As we are heading towards summer, we have longer days and shorter nights, which is excellent news if you are a fan of backpacking, rambling, and hill walking and camping. Along with the essentials such as a good rucksack, a hardy and easy to set up tent and waterproof jacket, another important piece of gear that you should have is a good pair of walking shoes or boots.